Watch your child’s heart and imagination soar when they see their very own Ma TWINSIE look alike pillow doll! with a fun graphic, name and age on the backside. Here you can send me a photo of your child, and a flatlay photo of an outfit of your choice for their pillow. Flatlays are great for me to capture the details of their outfit better. Here you can enter your child’s name and age for the backside of the pillow. Here you can select the theme for the backside of your pillow. If you choose custom we will happily design it for you (a small custom charge will apply). Our current production time for completion of your MaTWINSIE doll is 3-4 weeks from time of purchase. 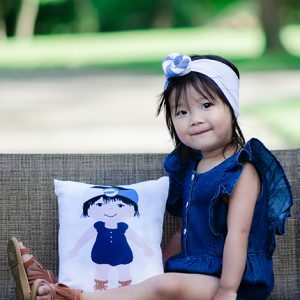 Look alike pillow dolls are a phenomenal way to encourage your little one to explore the big (sometimes scary) world with their very own fabric doppelgänger by their side. Originally inspired by my own sons battle with nighttime fears, once he had his hands on his own cartoon pillow he would eagerly jump into bed ready for slumber land. Expertly printed using baby safe inks, this fun and colorful cuddle pillow will offer your child hours of fun and cuddle time while also becoming a cherished childhood heirloom with time. 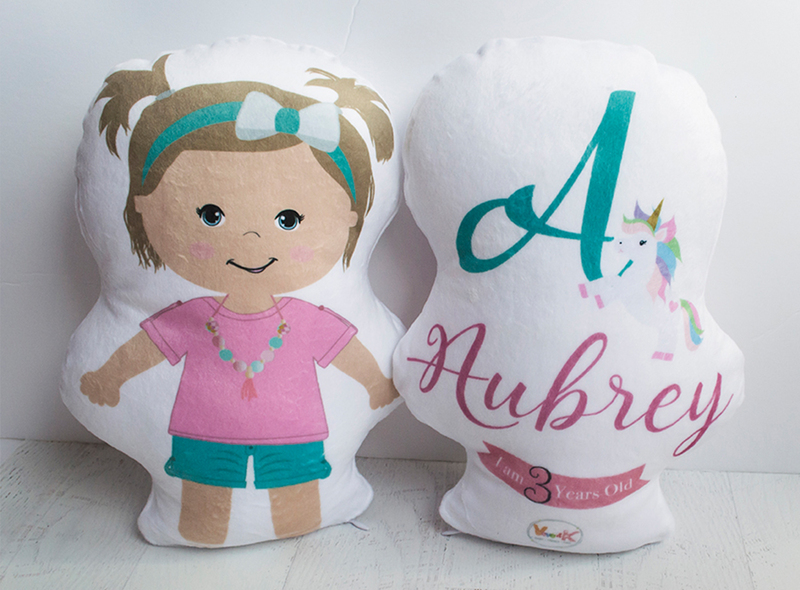 BACK OF YOUR PILLOW: It will come personalized with your child’s name, age and a fun little graphic. prior to ordering just Contact Me. The cute and smiley cartoonish illustration for the Personalized Ma TWINSIE dolls was designed by me when my son was about 4 years of age. He had a hard time letting us go during bedtime and we really struggled to make him go to sleep by himself. I one day designed a fun and colorful illustration of him with his favorite pyjamas on. We were showing him the illustration that I printed on our home printer and were making up the story of the brave little boy who has the same favorite pajamas like him and has no fears sleeping by himself in his room. Our son was so excited about the story! 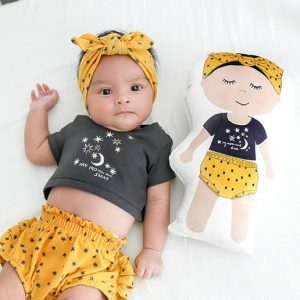 I recently came up with the cute idea to turn my smiley illustration that I once created for my son into a base for my Ma TWINSIE lookalike pillow dolls that I am so excited to offer to you today. I love the idea of a fun illustration of your child with their favorite outfit, hairstyle and personality! Thank you for trusting me to create a special one of a kind keepsake for your little one one personalized small pillow at a time! I ordered the MaTwinsie Doll for my 2 year old daughter and we both love it! The designer was so easy to work with and captured my daughter and her outfit so well. I absolutely love the personal detail on the back. I would definitely recommend!